Pull requests can only be opened if there are differences between your branch and the upstream branch. 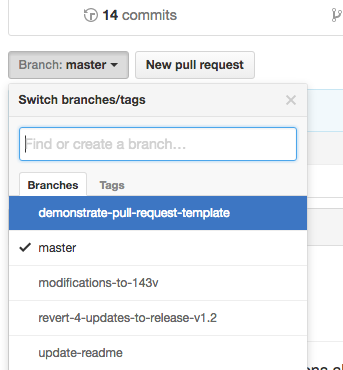 You can specify which branch you'd like to merge your changes into when you create your pull request. If you don't have write access to the repository where you'd like to create a pull request, you must create a fork, or copy, of the repository first. For more information, see "Creating a pull request from a fork" and "About forks." By default, pull requests are based on the parent repository's default branch. If the default parent repository isn't correct, you can change both the parent repository and the branch with the drop-down lists. You can also swap your head and base branches with the drop-down lists to establish diffs between reference points. References here must be branch names in your GitHub repository. When you change the base repository, you also change notifications for the pull request. Everyone that can push to the base repository will receive an email notification and see the new pull request in their dashboard the next time they sign in. When you change any of the information in the branch range, the Commit and Files changed preview areas will update to show your new range. Using the compare view, you can set up comparisons across any timeframe. For more information, see "Comparing commits across time." Project maintainers can add a pull request template for a repository. Templates include prompts for information in the body of a pull request. For more information, see "About issue and pull request templates." Use the base branch dropdown menu to select the branch you'd like to merge your changes into, then use the compare branch drop-down menu to choose the topic branch you made your changes in. 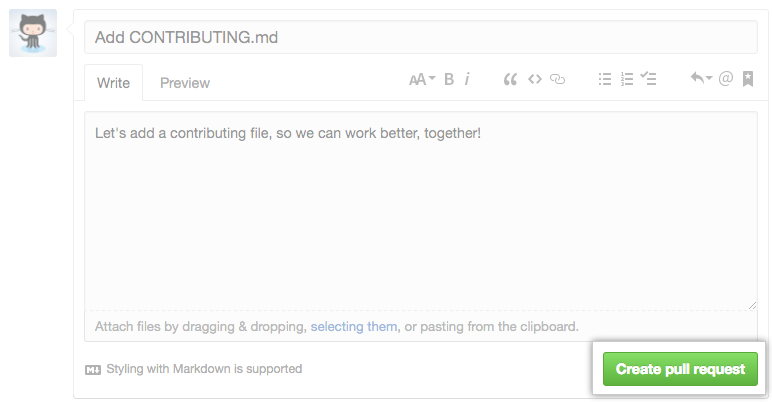 After your pull request has been reviewed, it can be merged into the repository. "Changing the base branch of a pull request"
"Adding issues and pull requests to a project board from the sidebar"